Skip this paragraph if you're a Vampire Knight fan. Seriously. 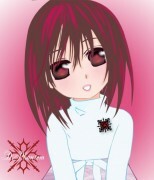 OMGosh, it's another Vampire Knight submission :o *gasp* I don't like Vampire Knight. Not the anime, not the manga. The characters are too stereotypical for my taste and the guys in the manga look the same to me (had a terrible time trying to distinguish between them and gave up at chapter 42). Don't try to convince me VK is the best anime/manga in the world, because it isn't and your flaming won't determine me to think so >_> Respect my opinion and I'll respect yours. Thank you. What I do like about VK is the art: it's clean and the colors are pleasant. This vexel/vector is older than life itself. Not really, I made it a month ago but forgot to submit it here. I first tried to post the .PNG file over at AP, but they rejected it for being too small >_> How come this is too small? I made it big enough for even 2560 x 1600 wallpapers! Anyway, after it was rejected I felt disappointed, put it in my "Vectors" folder and forgot about it. So, today I decided to post it here, to show I'm not dead; and maybe some will find some use for it. .PNG version available at the Corner Of Art. Feel free to use it in graphics. A link back is greatly appreciated, as well as comments, favorites :) Thank you in advance! Wow this truly stunning for a full face feature. I love your coloring technique it's quite different from all the other vectors I've seen, it sort of looks like a three dimensional piece. I think you did a great job with this and thank so much for sharing your work! I like how you did the transparent layer shading, but I think you should do the same thing for the skin too. Because the shading looks 3-dimensional, but the skin looks flat. Still, looks good. I like the hair, look real! Wow, you must have ALOT of patience to actually do shading like that. i love this. you did an amazing job. i happen to looove vampire knight..but your right it is hard to distinguish characters sometimes. like kanames uncle, kanames dad, and kaname look the same O_O it was confusing when they were all in the same picture >.< lolz. I love the way this picture looks, especially the hair, great pic! *Gasp* how can you not like VK! 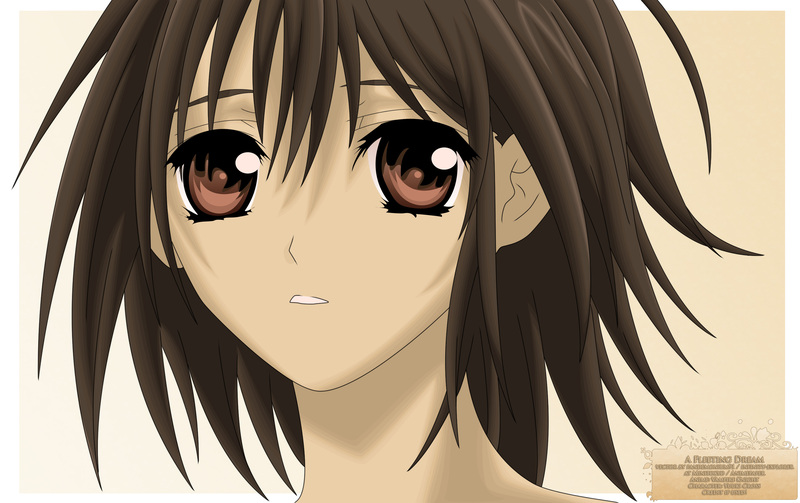 Actually I'm kidding ^^ I only like VK for the art ... and I can't tell people apart either XD I recognize Zero, Kaname, and Yuuki but that's about it XD Most of the random night class students look the same to me, especially all the guys. The girls at least had different and distinct hair styles to help me differenciate among them. As for the story ... it's just kind of pure romance, which is overall not that exciting. I like romance and all, but I agree that VK is not *that* good... just very very pretty. When I recommend VK to people, I say VK is very slow and maybe boring story with great pretty art and hot guys. It's their choice if they want to read and like it or not XD People who rave about VK like it's the best thing ever give others unrealistic expectations of what VK should be. I love her hair. But i think that, her mouth is a little crooked.